HISENSE has introduced its newest line of curved televisions at CES, pulling the curtain back on the H8s series. Set to arrive later this year (Q3), the 65-inch model offers a 3840×2160 resolution over its curved face. Things get fun when you peek under the hood and find Android 4.2 Jelly Bean and dozens of other Smart TV apps such as Chrome, YouTube, Netflix, and Amazon Instant Video. Indeed, this guy is also Google Play certified. Additional details include HDMIx4, WiFi and three USB ports (4K video play), the custom VIDAA user interface, AirBridge Digital Media Player and Receiver, and a “state-of-the-art” Merlin Air Mouse remote control. Look for pricing to be revealed as we get closer to the second half of the year. 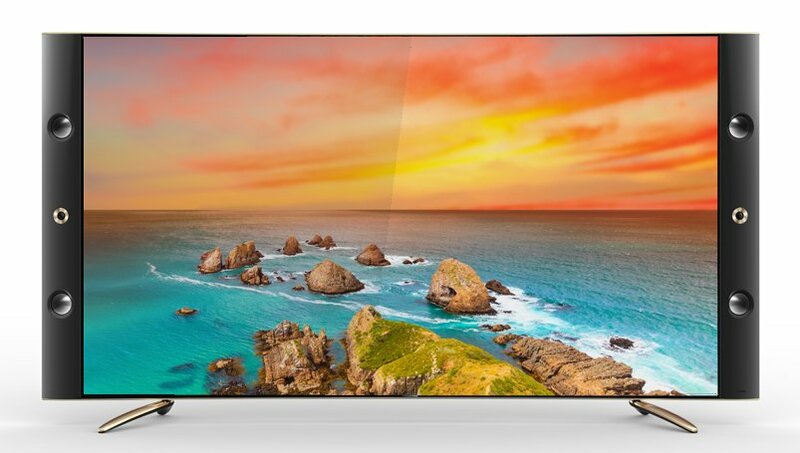 Las Vegas, NV – January 6, 2014 — Hisense today launched its brand new 65” H8s Curved Ultra HD TV at CES 2014. The curved display allows for a viewing experience just like the movie theater, without a bad seat in the room. With spectacular 3840 x 2160 pixel resolution and a vibrant 120Hz, every viewer feels like they’re part of the action. The H8s comes loaded with Android™ 4.2 and dozens of SMART TV features including Netflix, Vudu HD Movies, Amazon Instant Video, Pandora, Chrome™, YouTube™, and is Google Play™ certified. Accessing your digital content is a snap with the H8’s built-in HDMIx4, WiFi and three USB ports to support 4K video play. It also comes with the stunningly simple VIDAA user interface, AirBridge™ Digital Media Player and Receiver and state-of-the-art Merlin™ Air Mouse remote control. The Curved UHD TV will be on display at the Hisense booth 7243 during CES, January 7-10, 2014. Expected availability will be Q3 2014. For more information please visit: www.hisense-usa.com. You can also find us on Facebook at www.facebook.com/HisenseUSA or follow us on Twitter and Instagram @Hisense_USA.